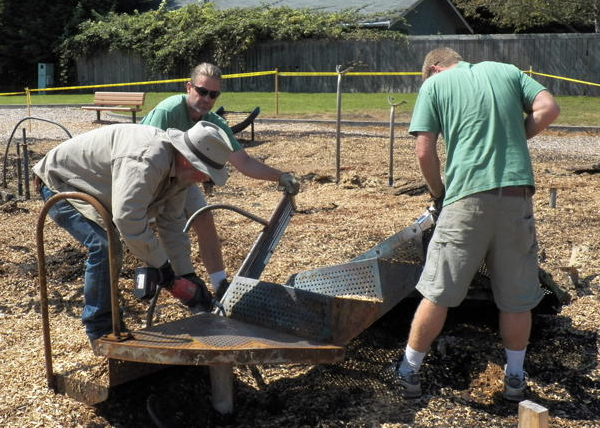 ARCATA – On Saturday, Sept. 3 at about 3 a.m., the Chevret-Vaissade Park playground was destroyed by a fire. Investigators are still working to determine the cause of the fire. A reward fund of $1,500 has been established for information leading to the arrest and conviction of the person(s) responsible for the fire. The City of Arcata has contributed $1,000 to the fund and a private donor has contributed $500. Tuesday morning, demolition forces returned to rip out the heavier pieces, remove the hazard and prepare the site for a replacement playset. Police and Fire officials are continuing their investigation. Anyone with information is encouraged to call the APD at (707) 822-2428. 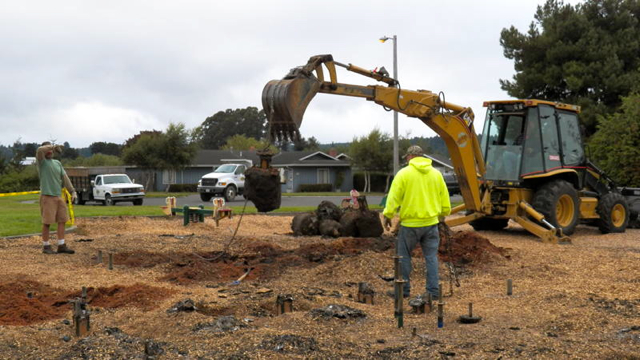 The Rotary Club of Arcata announced that it will match up to $4,000 of the amount raised by the neighborhood and community for the rebuilding of the Chevret-Vaissade Park, in Arcata. “The Rotary Club of Arcata would like to participate in any community work party authorized by the City and provide any assistance needed to expedite the completion of the repair project as soon as possible” announced Rotary Club of Arcata President Stan Elcock. stanelcock@yahoo.com. This entry was posted on Wednesday, September 14th, 2011 at 9:28 am	and is filed under News, Community. You can follow any responses to this entry through the RSS 2.0 feed.